The former French Open finalist had previously been beaten in the final of the Madrid Masters in both 2017 and 2018, but he made it third time lucky as he fought back to down Roger Federer 3-6 6-3 7-5. It would be nice if I could hold this shape and all of these positive emotions in the next tournament and every tournament I play. Afterwards, Thiem told the official ATP Tour website: "It feels unreal what happened in these ten days. I came with really bad form in all categories and now I'm the champion of Indian Wells. "It's amazing that I won my first big title here on a different surface than clay. I turned a pretty bad start to the season into a very good one. "Of course, the title is amazing, it will stay there forever. But it would be nice if I could hold this shape and all of these positive emotions in the next tournament and every tournament I play." 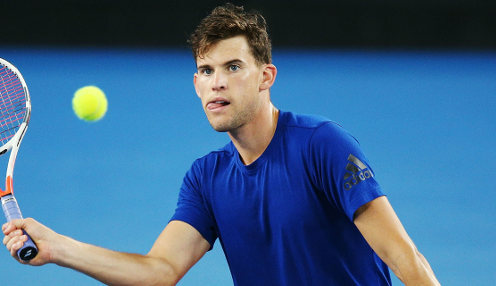 Thiem is now priced at 10/1 to win the French Open later this year, with Rafael Nadal priced at 10/11 and Novak Djokovic 7/4. Meanwhile, Canadian teenager Bianca Andreescu was equally stunned after completing a dream run to the women's singles title in Indian Wells. The wildcard, who had beaten the likes of Elina Svitolina, Garbine Muguruza and Dominika Cibulkova on her way to the final, capped an amazing run with a 6-4 3-6 6-4 victory over Angelique Kerber. Afterwards, she told the WTA Tour website: "It's been a crazy ride, truly a Cinderella story. Now to be able to have my name in front of so many amazing champions is - it means the world to me."